Obituary: Michael Cole, 72, Branch. Michael L. Cole, 72, of Branch died on Monday, February 18, 2019. Mike was born January 19, 1947 in Reed City to Charles and Mildred (Gundich) Cole. Mike graduated from Baldwin High School in 1966. After high school, Mike enlisted in the US Army and served his country for three years; serving, for a time, in Germany. Mike was a life member of the NRA. He knew a great deal about guns and ammo. He enjoyed the outdoors, especially hunting. He enjoyed spending time with his family. Mike had a strong faith in knowing he would one day join his parents in Heaven. Mike is survived by his brothers, Charles, William, Raymond, and Ralph (Arlene) Cole; his many nieces; nephews; great-nieces; and great-nephews. Besides his parents, Mike was preceded in death by his brother, John Cole. A funeral will be held Friday, February 22, 2019 at 1 p.m. at the Oak Grove Funeral Home in Ludington. Family will greet friends starting at noon. Mike will be laid to rest next to his parents at Evergreen Cemetery in the spring. Memorial contributions in Mike’s name may be directed to the American Cancer Foundation, The Evergreen Covenant Church, or the charity of donor’s choice. 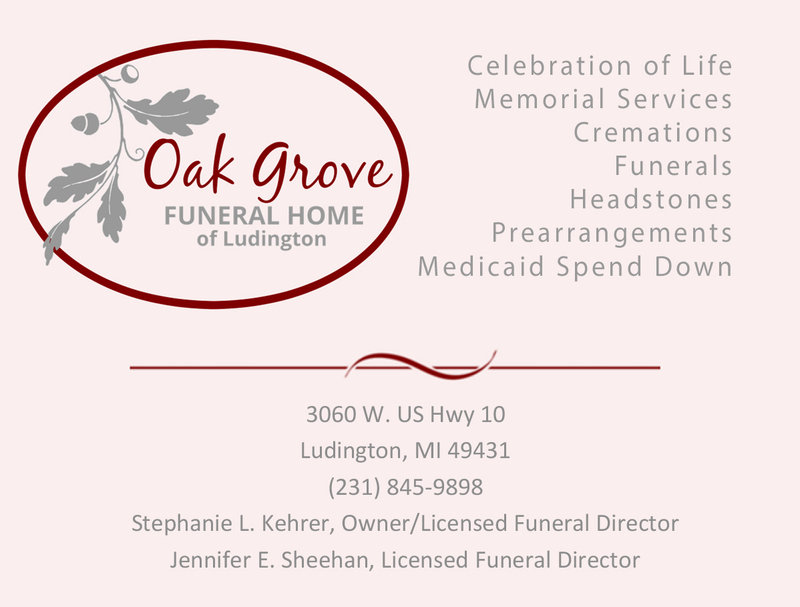 Arrangements have been entrusted to Oak Grove Funeral Home of Ludington, www.oakgroveludington.com.